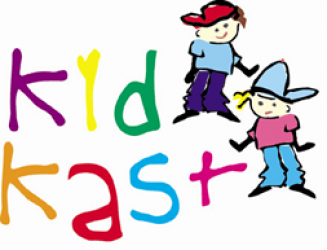 Kidkast have been invited to perform with Circus Gerbola on their upcoming run in Drogheda. In return they will offer discounted tickets for extended family and friends and a unique behind the scenes experience of the circus for the performers and staff. We are very excited to perform a shortened version of our Greatest Showman piece from last years show in the circus ring on Thursday 14th February at 7.30pm, and Friday 15th February at 4.30pm. This is only open to any students who took part in this piece in the TLT Show last June only, however it is an optional performance and if you are unavailable this is no problem. Rehearsals are on tonight, Thursday 7th February from 6-7.30pm, next Wednesday 13th February from 7-8.30pm (both rehearsals will be in the studios). 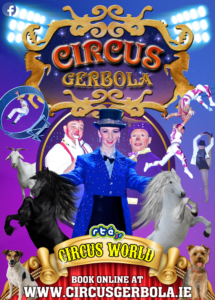 And also on Thursday 14th February at 6.30pm in The Circus Gerbola Big Top at Colpe in Drogheda. Please email info@kidkast.ie if you would like to take part in this exciting performance and indicate your availability for rehearsals.